Csorna is located in west-Hungary between the Rábaköz and Hanság. In respect of the location it is a combination of swamp and cultivatable land providing specific energy to the settlement. Around 1180 the Premonstratensian monastic order established a monastery. The settlement was registered for the first time in 1226. The monastery was built in the center of the settlement therefore it became a significant place in the forming procedure. From the 18th century for a long time Rábaköz with Csorna as a county seat lived an independent county life with a subprefect in charge. 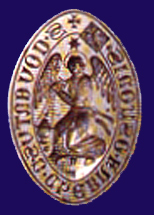 In 1393 the Premonstratensian monks received countrywide valid judging authority from King Zsigmond who was the German-roman Caesar as well and from Lajos the II. jus gladii in 1520. The next registration document mentioned Csorna as a market town in 1456. During the 19th century the administrative roles manifested per regions. In the last decades of the 19th century the town became the center of railways. The first industrial workshops like the steam mill and the brick factory appeared and the financial institutes established. The capitalization strengthened the economical role of the settlement. The beginning of the 20th century based on the economical accumulation originated the institutes of the modern civil era. The local media became steady and the associations started booming. By the time of the First World War, the dream of the local population the Margit Hospital had been built. The settlement grew more between World Wars. First the male then the female public school opened then in 1938 the winter agriculture school. The Premonstratensian College established in 1930 in town. The presently existing public buildings like the parish hall, the magistrate courthouse, the district court and the tax office were built by then. One of the country's largest churches back then was dedicated in 1938, which is nowadays the Heart of Jesus parish church. After the World War II the large scale fanning was followed by the industrialization and from the 1960's rapid development started to take place. The president council declared the settlement to town in 1971. Nowadays it is center of Rábaköz- Tóköz-Hanságmente settlements' regional development associations and 35 settlements belonged to this area. Csorna is considered as a school town. In the 2000/2001 school years, 3000 students were counted and more than 250 full time teachers; taught in elementary and high schools as well as in first grade art institutes. During this year 363 children were registered in kindergartens. 32 nursery teachers and one speech therapist dealt with the children Csorna beam with three elementary schools, two of them belong to the self-government and one of them is a private catholic school. Total number of the students was 1452. There are two first grade art institutes in town. One of them is a music school with 7 subjects (block flute, flute, guitar, cello, violin, trumpet and piano). The other opened in September of 1999 and became the first grade folkdance school The students in 8 grades study folkdance and folks traditions 4 hour per week. Three secondary schools can be found here as well. One of them is Csukás Zoltán. Agriculture secondary school educating students on the secondary level as well as skilled workers in different areas of the agriculture, like agricultural technician, agricultural machinist and its skilled workers. The model farm supports the education with more than 100 hectares cultivated land, gardens, workshops and stables. 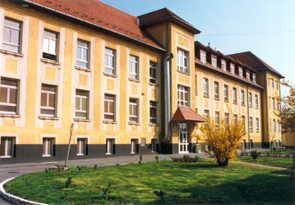 The other secondary school is the Hunyadi János High School and secondary school, which provides full time secondary education as well as teachers training and economical education on secondary level. On the distance learning program offers education for employed adults. In the autumn of 1996 the school started with a new program with the 5th grade in - typist and word processing faculties. For many years now the school prepares the students for IT exams. The industrial school number 408 provides education in the following subjects: shop assistant, turner, locksmith, bricklayer, dressmaker, cloth store assistant and painter. In the school year of 2000/2001, 926 full time students visited the school and 189 students in the long distance program. One of the most magnificent institutes of Csorna is the Csorna Museum. 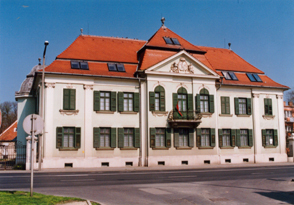 It was established in November of 1969 and in 1990 became an independent country museum. It collects and presents Rábaköz historical and ethnographical materials and values. The other valuable institute is the local library. It held 59134 documents, like books, magazines, microfilms, tapes, CDs and videotapes on the 31 of December in 2000. The culture center organizes concerts, theatre plays, and musical shows, state, local and regional fest programs. Also gives home to chores, film clubs, poetry clubs, friendly society, decorator club and so on. One of the most significant programs of the town is the "rábaköz days". Many different tradition-keeping groups introduces themselves, exhibitions are organized of the local folks artists, the modem artists' works and local companies offer their products with entertainment along. The Autumn Gallery is a new try where the local artists' works are displayed annually. The Pántlika Dance group is a country wide known group, which presents different regions' dances especially the Rábaköz and Szigetköz traditional ones. The group travels a lot and many medals show their successful international appreciation. The most magnificent monument of Csorna is the Premonstratensian provost and the church at the main square. The first monastery and church was built most probably at the end of the 17th and beginning of the 18th century. The ancestor of the today existing building was damaged in 1790' s conflagration. Its reconstruction finished by 1808. The building carries classical and late baroque marks. The facade shows projection. This is the most decorated and significant part of the building. The St Norbert statue is located to the right of the church's entrance while St Ágoston is on the left. Another St Ágoston statue is in the north housing of the church and the St Mihály group is located on the arch of the garden gate. All statues were made in the second part of the 18th century. The west facade of the premonstratensian church is embedded in the monastic quarters. The tower is placed behind the sanctuary on the east facade. Walking into the church hall there is a relievo displays an angel or St Mihály holding a paper role in their hand. The other decoration of the front hall is the Pieta statue made in 1828. The baroque high altar of the church was made m 1780. The altarpiece shows Maria's leaving to heaven. The provost throne is located on the left side of the high altar with the arms of the provost church above it, which is the victory of St Mihály. There is Szerecsen Maria's picture on the left side altar. This is called like this because of the dark brown skin color. Supposedly it is the alternative of the czestochowa religious picture. The Jesus' Heart parish church, which is a monument even if it is a young building located on the St Istvan square. It was built between 1936 and 1938. The style reflects the modem Italian architecture. It was built with bricks and the effect is still gross by looking at the size. On the south part of the St Istvan square there is the Palotasor. This storied line house was built at the end of the 19th and the beginning if the 20th century. The most valuable parts of this magnificent line house are the eastern and western edges. One of the oldest public pieces of art is the Maria statue from 1757 in the intersection of the Honvéd and Bartók Béla Street. Out of a square bed, which is placed on steps there is rococo ornate pillar rises growing narrow upwards. The pile cap is wider on the top of the pillar and Maria stands on the top of the globe holding little Jesus in her hand. 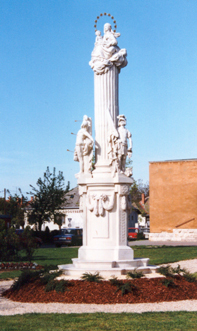 After the restoration in the spring of 2001 the Maria pillar from 1780 had relocated in front of the Jesus Heart parish church. St Flórian, St Donát and St Sebestyén are standing on a high bed decorated with braids. There is a striated pillar rises out of them and Maria is sitting on the top with the child Jesus in her hand. June 13th was like a half celebrated holiday for Csorna since the conformation of the Padua St Antal cemetery church. The market town celebrates this holiday fully since the 13th of June 1849, the victorious Csorna battle, which fell on Antal's day and from the 150th anniversary the town celebrates is again. That is not coincidental either that the arms of town displays St Antal. 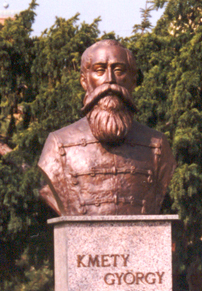 The victorious heroes are displayed in many monuments like the General Kmety György statue, memorial column and memorial plaques. The Fertõ-Hanság National Park is located at the earth island by Csorna. 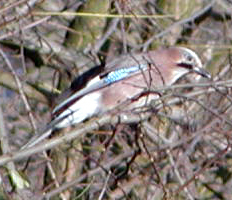 One of the show places of the park is the Eszterházy birdcall. The avifauna of the Hanság, beautiful collection of insects and butterflies can be looked at inside of the building. Beside of the exhibition there are plenty sights to be seen. One of the most magnificent sights is the Csíkos-alder the supporting rooted alder forest, which is firmly protected and the only remains of the Hanság alders. The 137-member buffalo herd and 287memebr gray cattle represent the animal fauna.